Chesterwood is the former summer home, studio and gardens of American sculptor Daniel Chester French (1850–1931), who is best known for creating two of our nation’s most powerful symbols: the Minute Man (1871–75) at the Old North Bridge in Concord, Massachusetts, and Abraham Lincoln (1911–22) for the Lincoln Memorial in Washington, D.C. Daniel Chester French was one of the most successful artists of the late 19th and early 20th centuries, producing more than 100 works of public sculpture. French executed much of the work for which he is recognized at Chesterwood, his summer home for 35 years. The natural beauty of the Berkshire Hills and the handsome studio building provided the sculptor with an inspiring setting in which to work. French wanted a summer place where he could escape New York and work in a relaxed atmosphere. In the fall of 1895, he and his wife drove by horse and buggy and discovered the resort town of Stockbridge. Its climate, convenience to both Boston and New York, and fashionable associations made it a desirable retreat. The Frenches returned the next summer and were shown the Marshall Warner farm. French was especially taken with the view of nearby Monument Mountain and he purchased the farm in 1896 from a family who had purchased it from Mohican Native Americans. The French family and two maids moved into the white clapboard farmhouse on May 9, 1897. To ensure that his summer would be productive as well as restful, he improvised a studio in the barn. He asked his friend and colleague Henry Bacon to design a studio for him, then designed a formal garden himself. Soon, in spite of renovation, the original farmhouse was deemed inadequate and French commissioned Bacon to design a residence, completed in 1901. Seeking greater peace and quiet as his daughter reached her teenage years, French built the Lower Studio, “The Meadowlark,” as an additional work space. Over the years, more structures were added to the property. By the mid-twenties, the estate was essentially as it appears today. After the sculptor’s death, Mrs. French enjoyed Chesterwood as a retreat until she died eight years later. 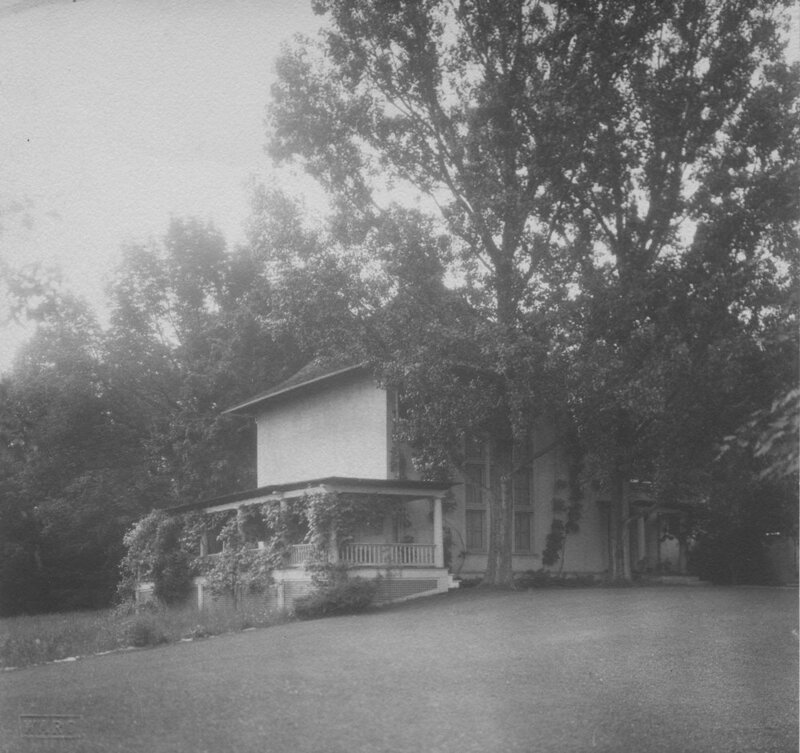 Much of the credit for Chesterwood’s preservation and metamorphosis from summer retreat to public site belongs to Margaret French Cresson (1889–1973), the sculptor’s daughter. After her parents’ death, she maintained the property and began to use it year-round, assembled the work of her father, and established the estate as a historic site of the National Trust for Historic Preservation. Journey, 176, 177, 179, 180.